Tim Waggoner wrote his first story at the age of five, when he created a comic book version of King Kong vs. Godzilla on a stenographer’s pad. It took him a few more years until he began selling professionally, though. Overall, he’s published over 70 stories of fantasy and horror (some of which are newly available at Fictionwise) as well as hundreds of nonfiction articles. In addition to writing fiction, Tim has worked as an editor and a newspaper reporter. He currently teaches creative writing at Sinclair Community College in Dayton, Ohio. His wonderful wife Cindy is a psychologist (a useful profession for the wife of a writer). They have two lovely daughters, Devon and Leigh. In October 2005, Tim Waggoner’s novel A Nightmare on Elm Street: Protégé will be released in stores. As part of Black Flame’s Nightmare on Elm Street novel series, Tim’s novel will continue the Nightmare mythos in an all new story! Tim kindly took some time out his busy schedule to answer some questions regarding the Black Flame series, his new novel Protégé, how he began writing and more. NOES Companion: Can you give us a little history on how you became a writer? Tim Waggoner: I’ve been making up stories my entire life. As a child, I’d construct elaborate plots for the adventures of the toys I played with. In junior high, I began writing and drawing comic books starring my friends and I as superheroes. Eventually, I got frustrated with how long it took me to tell stories with pictures, so I decided to switch to using just words. One of the key moments, though, came in high school when I read an interview with Stephen King in the black-and-white comic magazine Dracula Lives. In the article, King spoke about his writing process and the business of publishing, and it was the first time I realized that people could actually choose writing as a career. You have an extensive list of written works, most of which relate to fantasy and horror. Are you a personal fan of these genres? I’ve always been fascinated by horror, fantasy, and science fiction in all forms: stories, comics, movies, and toys. Before I could read, I insisted my father read dinosaur books to me, and I memorized the names of all the dinosaurs. I could even “read” them by recognizing the shape of their names. After seeing Frankenstein vs. the Wolfman when I was around five, I bugged my father to teach me how to draw the Wolfman, and he taught me how to draw a simple cartoon face of him. I drew it over and over and over again, and can still draw it to this day. Though my reading and viewing tastes have broadened, SF/F/H remain my true loves, and now that I’m an adult, I have the pleasure of introducing my two daughters to so many of the works that I’ve loved throughout my life. Not only is your work in fiction extensive, but you have many written works in nonfiction as well. Do you prefer writing fiction or nonfiction? Why? Most of the nonfiction I write is about writing—how-to articles for magazines like Writer’s Digest and the like. While writing such articles is satisfying, I much prefer writing fiction. It’s more challenging, more creative, and just more fun than nonfiction. When I write fiction, I feel that I’m completely engaged creatively, that my entire self is involved in the process. Writing nonfiction is so much easier—it only takes a fraction of the time, energy, and creative focus that fiction does—that it can be a nice break sometimes, but writing fiction is my passion. I’d been pitching story ideas to the editors at Games Workshop for their Warhammer line. When I saw the news that they were going to come out with the Black Flame line of horror novels based on popular New Line Cinema icons, I e-mailed one of the editors I knew, and he told me who to contact. Because I had already published both original novels and tie-ins, it was simply a matter of my pitching ideas to Jay Slater at Black Flame until he asked me to develop a full-fledged proposal for one. The proposal that Jay liked best—and the one that New Line finally approved—was for A Nightmare on Elm Street: Protégé. What can you tell us about your novel Protégé? In the Dreamscape, Freddy torments a pregnant teenager and manages to inject some of his darkness into her unborn child. It’s Freddy’s hope that the boy will grow up and act as an avatar for him in the real world, much as Freddy used Jason in Freddy vs. Jason. The boy, now a young adult, struggles to resist Freddy’s evil influence, but will he be able to defeat the Master of Nightmares without becoming an evil to rival that of his teacher? You’ll have to read the book to find out! Are you a fan of the Nightmare on Elm Street series, or did you have to conduct some research for the new novel? I’m definitely a fan of the series. I saw most of them in the movie theater when they were originally released and caught the others as soon as they came out on video. I’ve watched them all numerous times, so I didn’t have to do much research beyond checking a few details here and there. The biggest problem was trying to decide whether Springwood was located in California, as in the first movie, or in Ohio, as in the later movies. After enough research, I learned that New Line’s position is that Springwood is in Ohio, which, since I’m an Ohio native, worked out great for me. Does Protégé hold true to the Nightmare mythos or will it be different from what Nightmare fans have come to know? I tried my best to adhere to the Nightmare mythos and incorporate the feel of the movies into Protégé. I wanted to use the sinister Freddy Krueger that we see in the first film and in the prologue of Freddy vs. Jason, while at the same time incorporating aspects of the mocking dark jester we see in other films—but without making Freddy a parody of himself. I read the first chapter at the World Horror Convention in NYC in April ’05, and according to the audience, I succeeded. Hopefully, fans of the series will think so, too. Besides Protégé, what other works would you recommend Nightmare fans check out from your catalog? 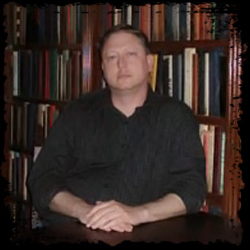 You can check out some of my short horror fiction for free on my website at www.timwaggoner.com. As for novels, Like Death (Leisure Books) and The Harmony Society (Prime Books) are both dark, surreal horror and should appeal to Nightmare fans. My short story collection All Too Surreal (Prime) contains a number of horror stories that originally appeared in various magazines and anthologies. Necropolis (Five Star) is a fun SF/F/H adventure set in a city of monsters and featuring a zombie private eye who’s in the process of literally falling to pieces as he’s attempting to solve a mystery. That book should appeal to Nightmare fans who enjoy the dark humor of the movie series. You also teach classes in creative writing at Sinclair Community College in Dayton, Ohio. Was teaching something you always wanted to do? Throughout my school years, I paid just as much, if not more, attention to how teachers taught than to what they taught. I’ve always found the process of teaching to be fascinating. And once I started teaching, I discovered that I learn just as much about writing from helping others as I do from actually writing myself. The stereotype of writers who teach is that they do so only to make money that they can’t make from their writing. While it’s true that it’s difficult to support yourself, let alone a family, solely by writing, I can’t imagine my life without both writing and teaching. What advice can you give for those who want to write professionally? Don’t give up. Push yourself to become the best writer you’re capable of becoming. Never settle for mediocrity in your work. Be honest with yourself about your strengths and weaknesses, and never stop trying to improve the former and minimize the latter. Learn as much as you can about the publishing business and how to network, but never forget that it’s the writing that comes first and matters most. And lastly, what other projects coming out in the near future should we be on the lookout for? My next original horror novel, Pandora Drive, will be coming out from Leisure in April 2006. It’s about a woman who has the ability to bring others’ fantasies and fears to life. For years she’s managed to control her power, but now it’s starting to leak out—with dire consequences for everyone who lives near her on (you guessed it!) Pandora Drive. The NOES Companion would like to thank Tim for his time. Be sure to pick up your copy of A Nightmare on Elm Street: Protégé. You can also see more of Tim’s works by visiting his website here.